Search Solution Group is On “Board” With CharlotteBusinessResources.com! Last week, we announced the winner of our Success Stories: Billboard Giveaway—Search Solution Group! We extend a congratulations to Search Solution Group and would like to thank all who participated. This wasn’t an easy decision, but rather, after reading all of your entries, it was a reminder of just how superior and amazing Charlotte’s small business community truly is. We recently sat down with Angelique Morabito, Communications Director of Search Solution Group, to discuss their win. Keep reading! CharlotteBusinessResources.com (CBR): First and foremost, congratulations on winning our Billboard Giveaway. What was you team’s reaction when they found out? Angelique Morabito (AM): After receiving the phone call and hearing that we had won, I instantly jumped out my chair and started yelling, “WE WON!! !” Our office has a bell that we always ring whenever a placement or something awesome has happened – and with the amount of initial excitement, I honestly thought I had almost broken our bell! Within seconds the whole office was collectively cheering and clapping from hearing the bell and myself yelling, but because I had submitted our story secretly, no one really knew what we had won. Talk about a team full of good sports! CBR: What motivated you to enter the giveaway? CBR: What was your approach to entering the contest? AM: The approach to entering the contest had a lot to do with how we think of ourselves in the recruiting industry. I wanted to submit something that was not what the board of judges was expecting to receive. I wanted to do something different that I knew would start a conversation among the judges. We take pride in being a pet friendly office 365 days a year, and after a lot of brainstorming, what better way to talk about our company story then through the perspective of one of the company’s founders, Tanner, a chocolate lab. If anyone has seen how far Search Solution Group has come, it’s Tanner! CBR: What did you share in your entry? AM: We decided to submit two Search Solution Group pieces. The first one was a company profile video, with the twist being that it was from the perspective of Search Solution Group’s owner Jeremy Gnozzo’s dog Tanner. Tanner was the reason why Search Solution Group had a “group” when Jeremy initially started the company, and we knew we wanted to do something different, so we decided on Tanner’s Company Profile Video. Our second entry was much more personal. After tricking Jeremy into telling us the story of Search Solution Group again, I took his words and put them on paper, creating a story. This entry showed Search Solution Group before it started, showing the vulnerability of the company’s initial struggles and its path to becoming the headhunting power house we are now. 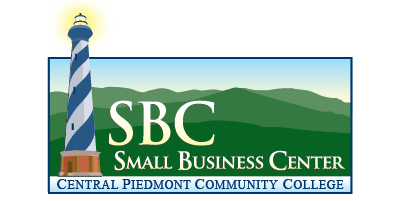 CBR: Your billboard will be going live on Small Business Saturday. What does this day mean to you and other small businesses in Charlotte? AM: This was such a huge accomplishment for Search Solution Group. Being a small company headquartered here in Charlotte, we have been pushing to make some noise for ourselves in the Charlotte community. Recently winning from the Charlotte Business Journal as a Best Places to Work and Fast 50 winner, and Jeremy Gnozzo being ranked as the 3rd top recruiter in the US by TheLadders, we want not only ourselves, but all the small companies with devoted and dedicated teams in our Charlotte community, to stand out. As a small business, and being in the very saturated market of recruiting, it is tough to make a name for yourself. This day means so much to the company, and you will easily be able see that by the smiles on every employee’s face if you were to ask them about what Small Business Saturday and this opportunity means to Search Solution Group! CBR: How is this kind of opportunity significant for your business? AM: Exposure. Search Solution Group is not yet at the level of name recognition we want. We are a small business that does not have a large marketing budget to advertise (just like many other small businesses), and we get the exposure we deserve because of the quality of our work. This allows us to jumpstart setting the stage for the exposure of our company that should be occurring, mirroring the level of exposure of larger companies in Charlotte. Search Solution Group sees ourselves as a premier headhunting and executive search firm, so this opportunity allows us to get the extra exposure to prove this. CBR: What do you hope you will achieve from this opportunity? AM: Search Solution Group is no longer an underdog in the recruiting industry. We are an established premier recruiting and executive search firm in Charlotte, while also performing nationally. 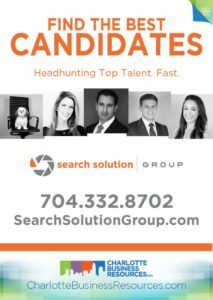 This opportunity is allowing us to reiterate that Search Solution Group is not only one of the best small businesses to work in Charlotte, or that we are one of the top 50 fastest growing companies in Charlotte, but that we have a dedicated team of trained expert headhunters. Our team of headhunters at Search Solution Group takes pride in the quality of work we perform and produce. This opportunity allows us to show Charlotte that we have zero plans to slow down our momentum and are excited to see our future aspirations become realities. Thank you, Angelique, and congrats again to your team! To learn more about Angelique and Search Solution Group, be sure to visit their website, Like them on Facebook, and follow them on Twitter.